A late start out of Shamrock yielded us a Chevron breakfast of hostess products, OJ and coffee. Really, moving quickly through the Panhandle of Texas was important… New Mexico lies ahead! 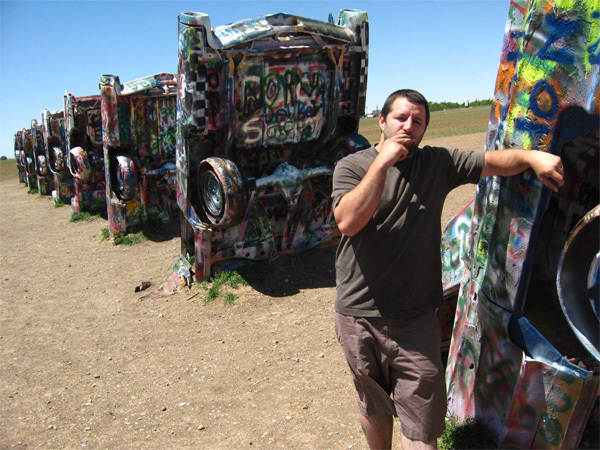 Then, before leaving town and leaving Texas we stopped at the Cadillac Ranch. I really don’t know the story behind this but the cars do range in date from 1948 to 1963 and each are pointing at the eastern sky at the exact same angle of the Pyramids. 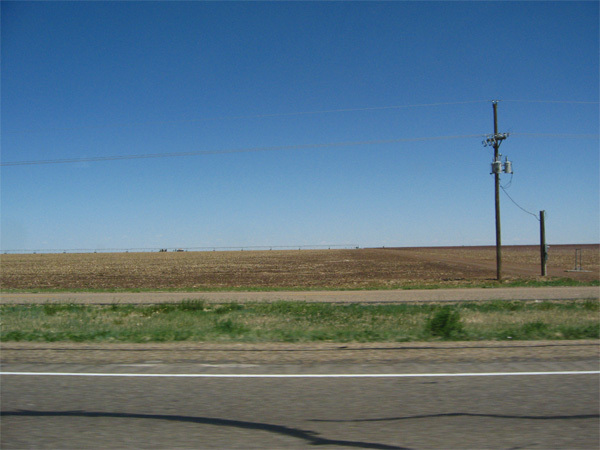 More road ahead… our destination is Tucumcari, NM. 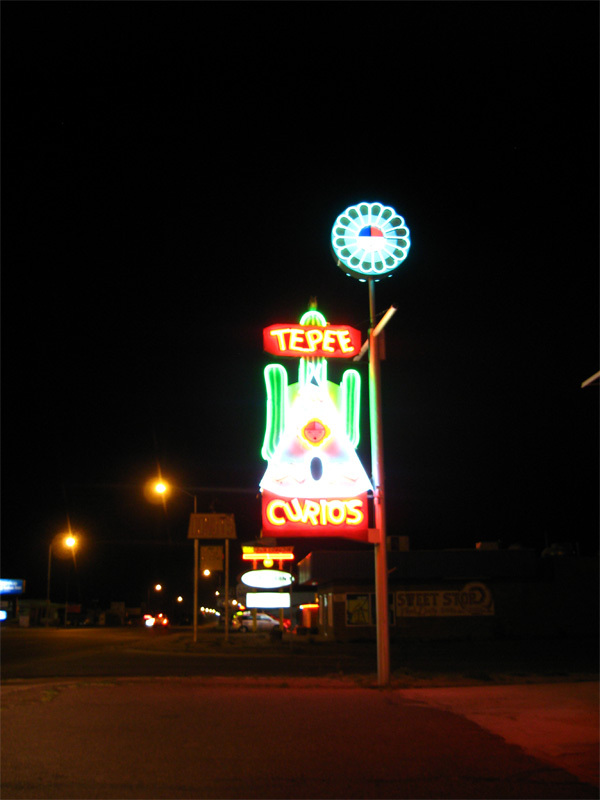 Tucumcari had a nick name back when the Mother Road was in her prime. 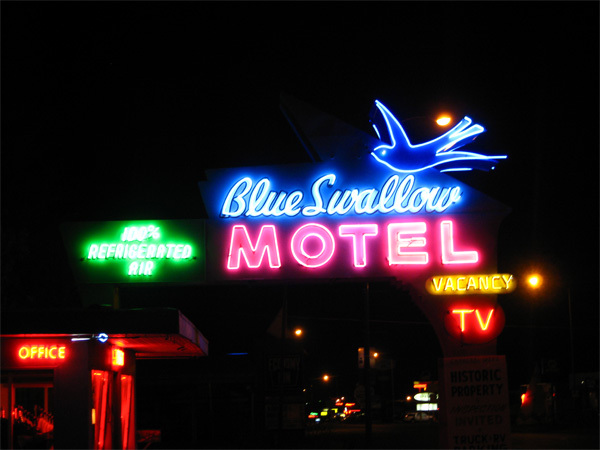 It was “Tucumcari Tonight” because it was a neon drenched oasis at the end of this long stretch of road filled with over 2,000 rooms, in Motor Inns for exhausted travelers like us. 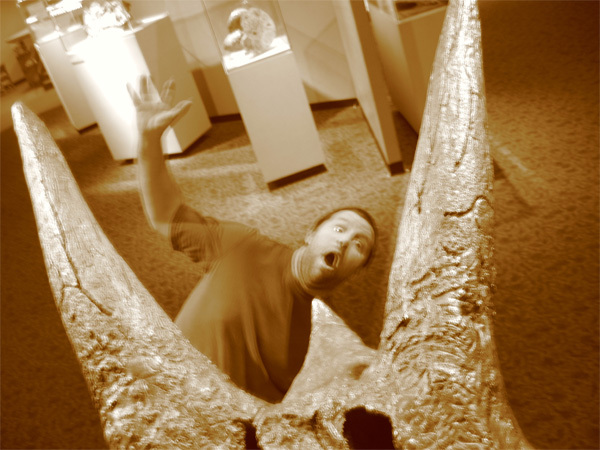 One other attraction and circumstance of this area is the Mesa Lands Dinosaur Museum. We’re told that this area is prime for finding remains because the Triassic and the Jurassic depths of soil are exposed… thus ripe for the picking. This museum is also a research center so we were able to see new, undocumented, unnamed, bones. 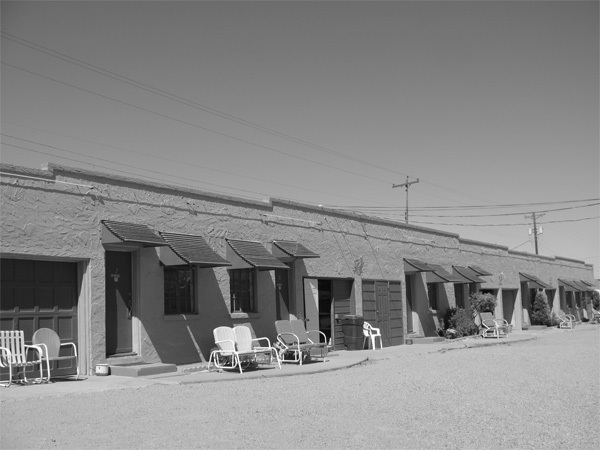 We checked into the Blue Swallow Motel, which boasts “Refrigerated Air”, and enjoyed a drink on our porch. Off to dinner, a place called Del’s with a long history in Tucumcari and long lines too! We both had some wonderful Mexican food but the surprise was at the end. 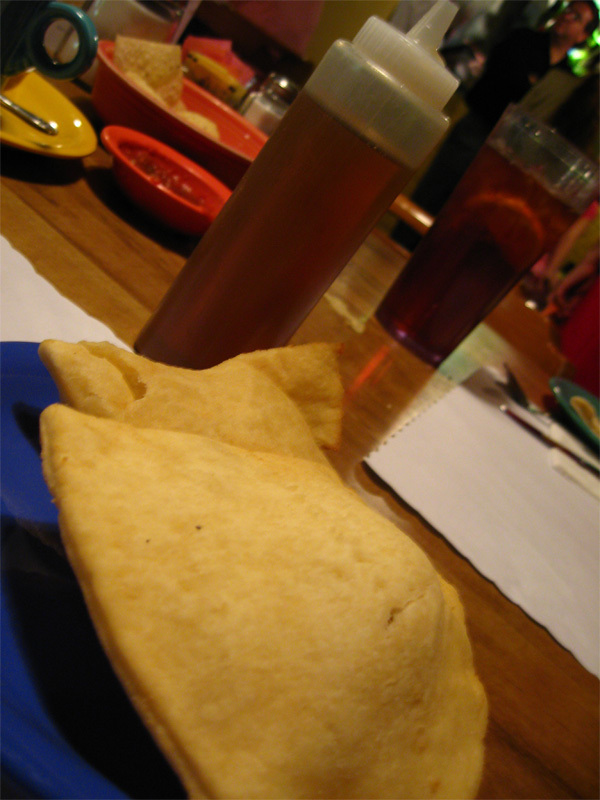 They brought out two handsome Sopiapillas… a lightly, fried, bread accompanied by a bottle of honey. It was super, not too sweet and not over fried… a delight! On our return home we captured some of the notorious neon signs. Since we’ve left I’ve done my best to capture almost every neon sign we’ve driven by, needless to say I have a great collection by now! 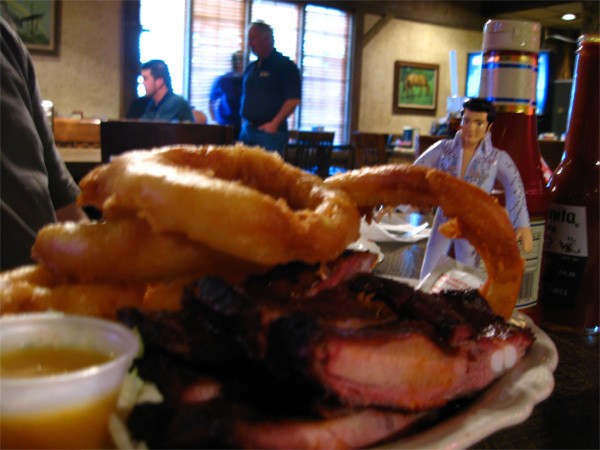 wow, looks like an elvis sighting to me. he’s sittin at the window at cadillac ranch. did you ask him for an autograph?